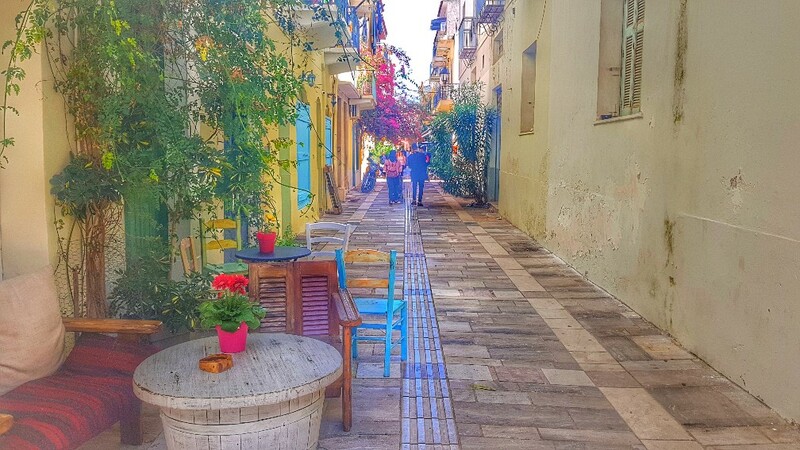 Known as a best-kept secret by nearby Athenians coming on Weekends, Nafplio, which used to be the capital of Greece one point after the independence, is one heck of a beautiful city. 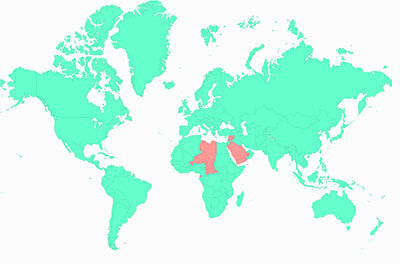 It is such a strategic point that it has 3 fortresses stretched on hills around the area. 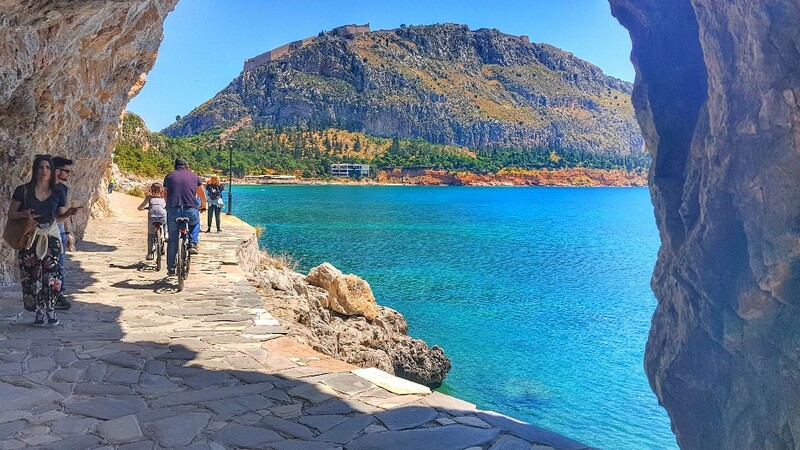 The Palamidi fortress is the biggest and makes a nice hike going up a set of stairs all the way to the top, where there are stunning views down to Nafplio, the Argolic Golf and the other fortress, the Akronafplia Fortress. 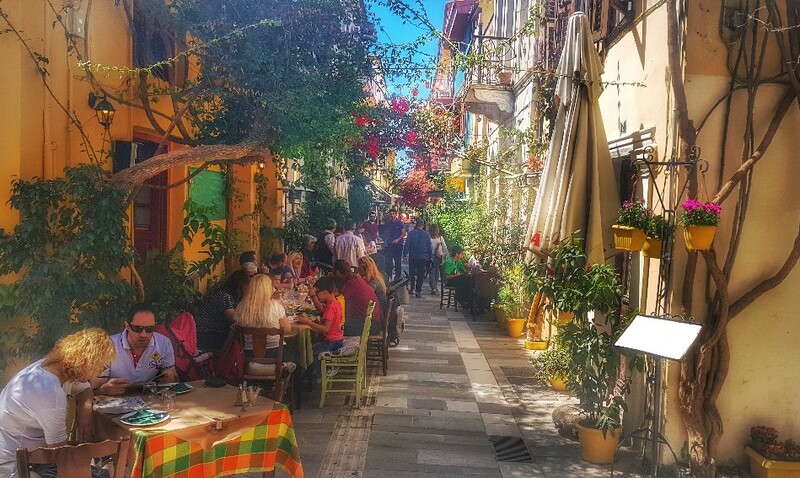 the town of Nafplio itself provides a very nice walk around its incredibly beautiful streets lined up with little Greek restaurants, with nice Balconies along Amalias street and Vasileos Konstantinou Street. 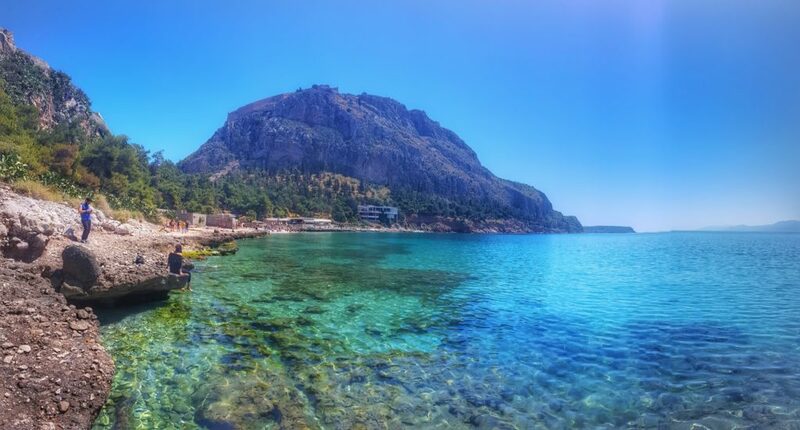 I really enjoyed going around the Akronafplia Fortress, a nice walk of about 1km that passes by Arvanitia Beach, a little stretch of pebble beach with crystal blue waters, providing an excellent base for a quick swim on a hot afternoon. The walk continues around the Akronafplia Fortress passing through tunnels and cactus filling the cliff. If this is not enough, there is another beach about an hour walk east from Palamidi Fortress to Karathona Beach. Water was freezing in April, but it was still a refreshing swim on a hot afternoon! 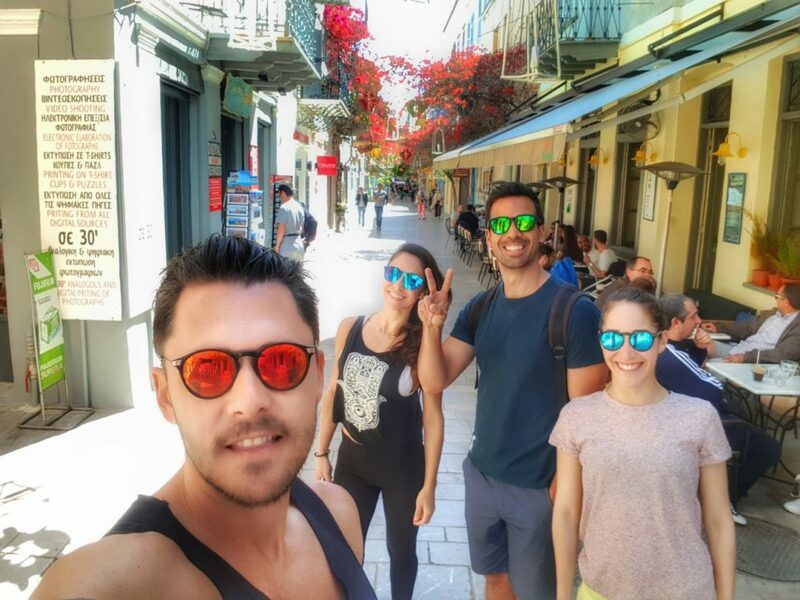 Apparently, there is a nice selection of fancy hotels around the old town, that has been traditionally directed towards Athenians Weekenders, but with its recent surge as an international touristic destination, it makes a great base to stay for a couple days to enjoy this wonderful Greek town. 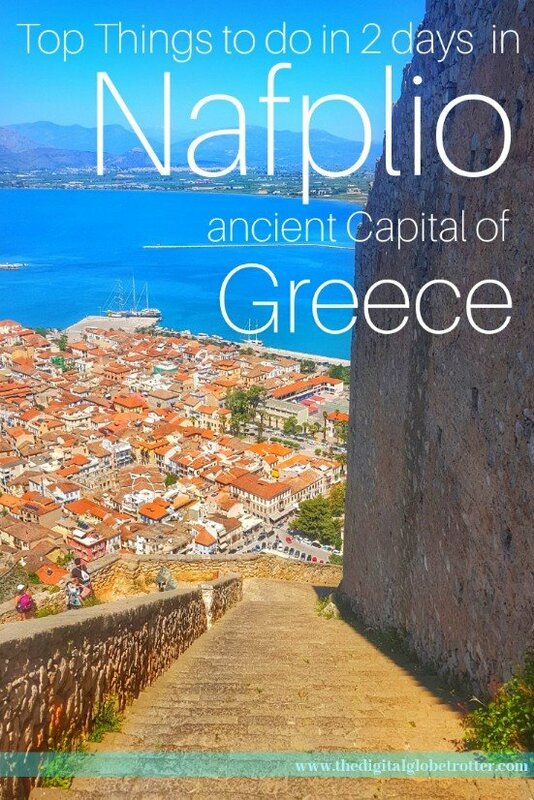 About 4km from Nafplio, there is the Tiryns where lies the impressive Acropolis of Tiryns which was an important Mycenaean structure. 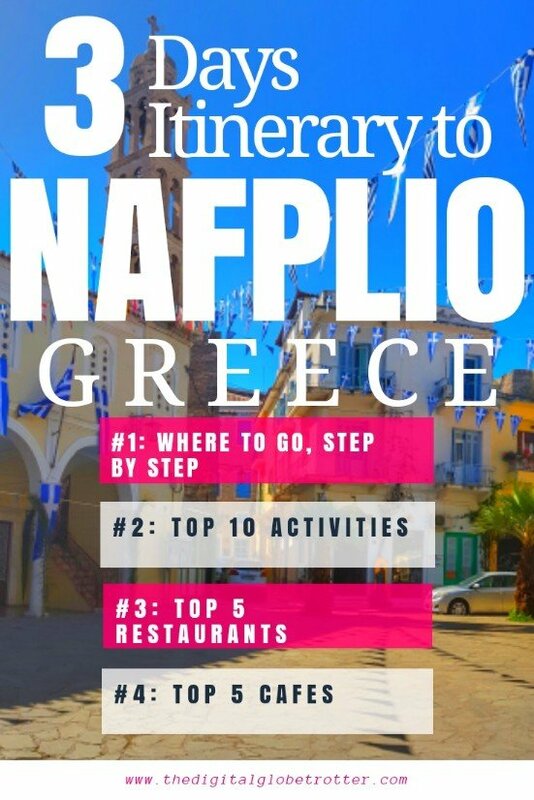 It can be visited by public transport from Nafplio center or on an excursion. 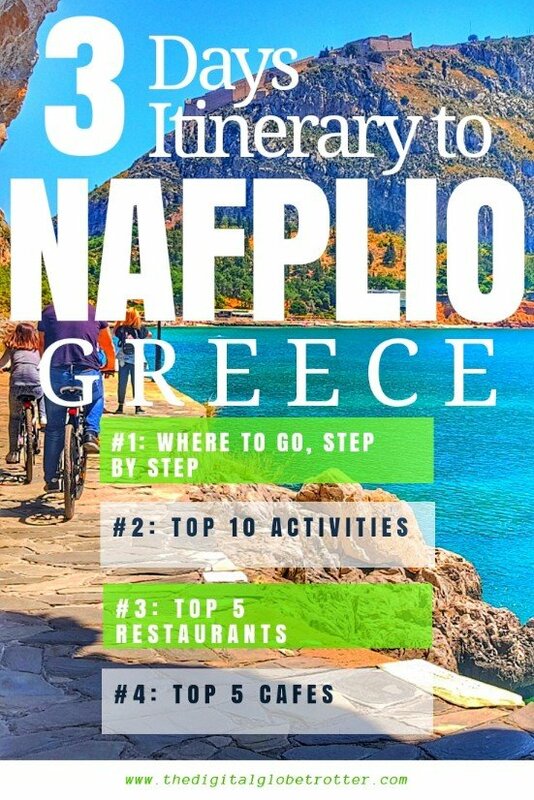 Alternatively, for those with their own transport, you can go as far as Epidavros, about 30km from Nafplio, to enjoy its well-preserved theater from the 3rd century. 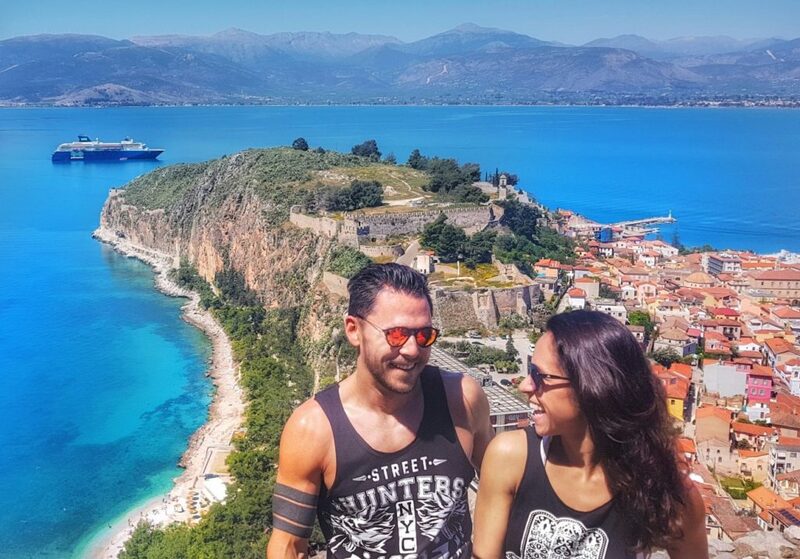 Overall I really enjoyed this little city and will include it as one of my favorite towns in Greece. 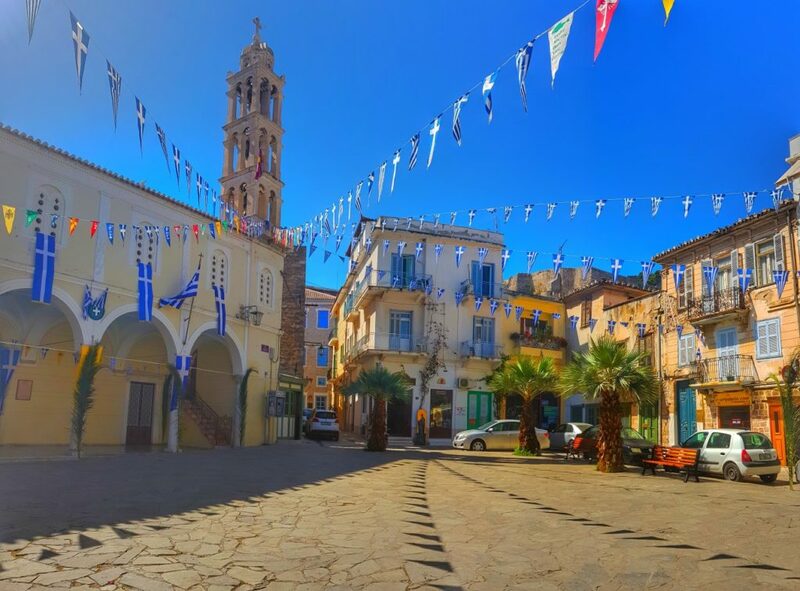 It’s a refreshing stop that expresses very well what the Peloponnese has to offer, truly different from the Cyclades and Crete. Click “Pin It” on The image below to help others find this article on Pinterest! 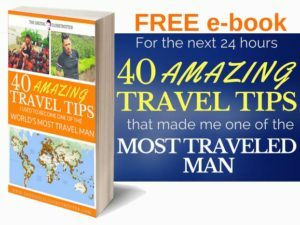 Tagged backpacker, backpackerlife, backpacking, budgettraveller, digitalnomad, europe, greece, nafplio, nomad, Peloponnese, remotework, rtw, travelmore, wanderlust.